Penn State Behrend alumna Melissa Lichtinger works as online communication manager for Make-A-Wish International but also volunteers for the organization. The first wish she granted was for Lucas, who suffers from lung disease, cerebral palsy and can only communicate through non-verbal expression. A splash pad was installed in his backyard, so he would be able to play safely in water. Melissa Lichtinger no longer worries about life’s everyday stresses. Those concerns went away after she started to work for Make-A-Wish Foundation. “Whenever life gets tough, I’ll just watch a wish story. It always instills positivity, and you realize that your day-to-day struggles are nothing compared to what these kids go through,” the 2013 Penn State Behrend graduate said. Lichtinger, who earned degrees in marketing and international business, works as online communications manager for Make-A-Wish International, headquartered in Phoenix, Arizona. Every day, the Erie native works to manage the organization’s social media and website presence while being attentive to the needs of the 50 different countries in which Make-A-Wish operates. Her commitment to the nonprofit’s mission is nothing new. While in college, Lichtinger got involved with Make-A-Wish thanks to the urging of her aunt, who was a volunteer, and interned in the organization’s Erie office. “At my internship, I did a lot of the wish story writing, so it really connected me to the mission, and I had the chance to meet a lot of wish kids. It really changed my life and made me realize I wanted to work in this sector,” she said. Lichtinger happened to be in luck. Following her college graduation, she was hired as a digital production coordinator for Make-A-Wish America before being promoted to digital production specialist. She was promoted to her current position last June. However, while she enjoyed her work, something was missing. At the corporate office, Lichtinger often helps with managing the global brand, sponsorships and high-level tasks. It was time to get back to basics. “I reached out to the local office here in Arizona, so I could start the process of (volunteering) and granting wishes. It was important to get back to the mission, and remind myself of why I wanted to get involved to begin with,” she said. Her first wish granted was for Lucas, who suffers from lung disease, cerebral palsy and can only communicate through non-verbal expression. After speaking with his mother, Lichtinger learned that Lucas loves playing in the water, but it’s difficult for him to do so because he cannot be in the water without someone holding his head up. His family and Lichtinger ultimately decided to install a splash pad in the family’s backyard for Lucas. 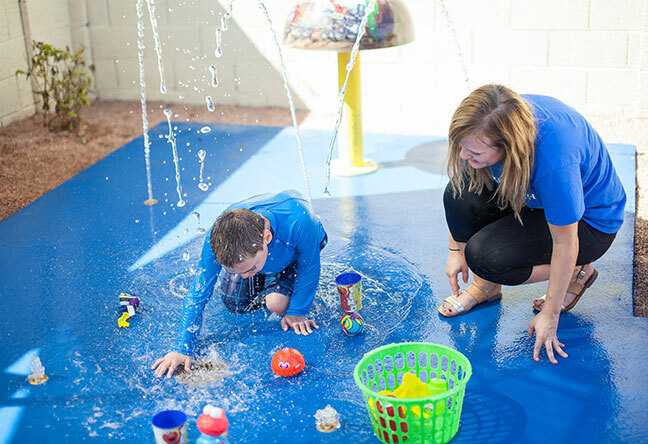 Commonly seen in public parks, splash pads eliminate the risks of pools while still providing plenty of water fun as ground nozzles spray water upwards. When he was introduced to the pad, Lucas immediately started to laugh and giggle, and Lichtinger was reminded why the Make-A-Wish cause resonates with her so much. “You get to take a kid who doesn’t get to be a kid right now, and you get to help them imagine something that they never thought was possible. You get to see the transformation where they become a little kid again,” she said. Lichtinger is currently in the process of planning an additional two wishes. 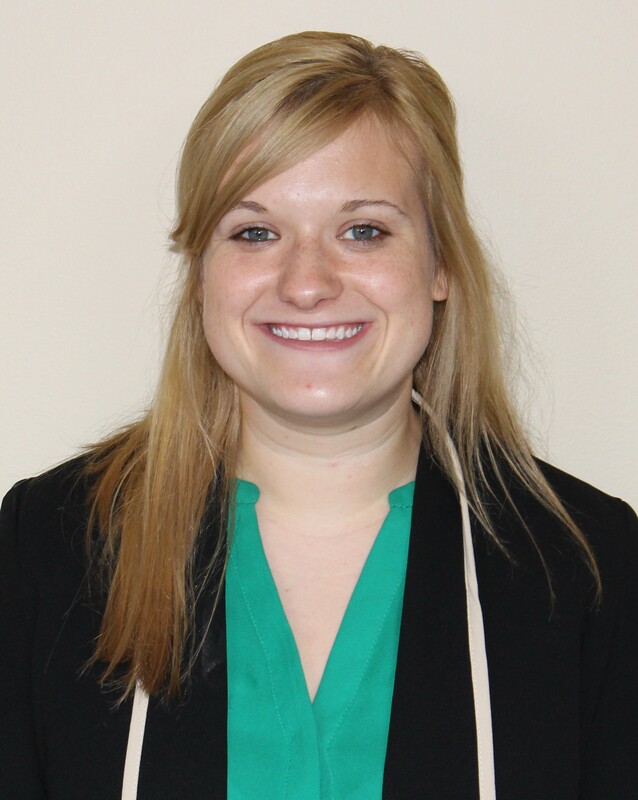 She knows her career path may one day change, but she wants to continue to make a difference in the nonprofit sector. She also remains very thankful for all the knowledge she gained from her time at Behrend.